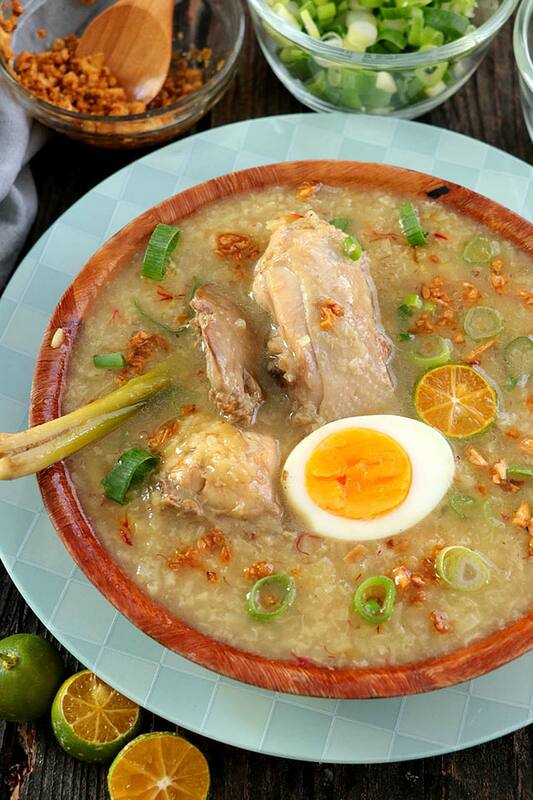 This Filipino Arroz Caldo is more than just a simple congee or rice porridge. A very hearty dish made from glutinous rice and various cuts of chicken and boiled eggs. Made flavorful and fragrant from all the spices like ginger, calamansi, and crispy garlic. This version is zestier from the addition of lemongrass and safflower. 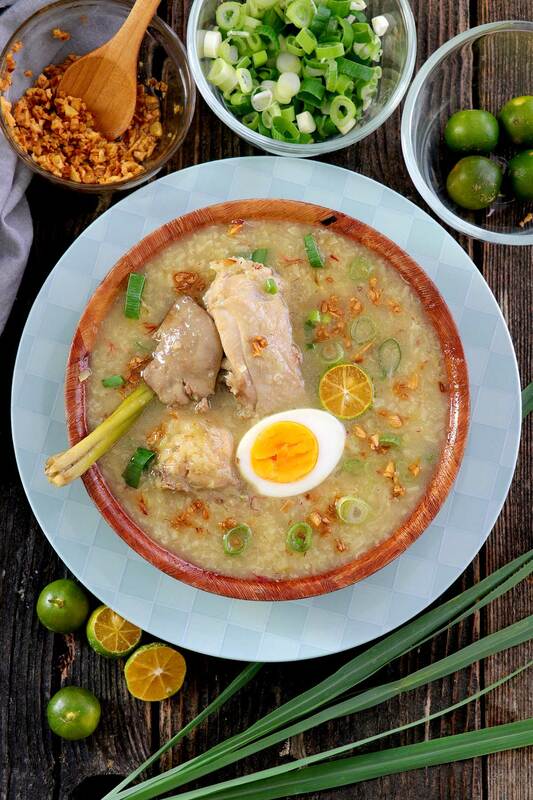 Arroz Caldo is a Filipino version of rice porridge or congee, made with glutinous or sticky rice and flavored with ginger and other spices. 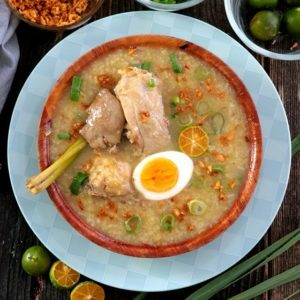 The main difference of Arroz Caldo from other Filipino rice porridge, like Goto or Lugaw, is that it uses chicken meat and sometimes chicken liver and hard-boiled egg. It is known to be good comfort food especially for the sick or during the rainy season. Also usually served as breakfast because it is filling and nutritious. Armin and I are not picky as to when or what time of the day to enjoy a bowl (or two) of Arroz caldo. I usually cook a large pot of it in the morning and it would be our meal throughout the day. 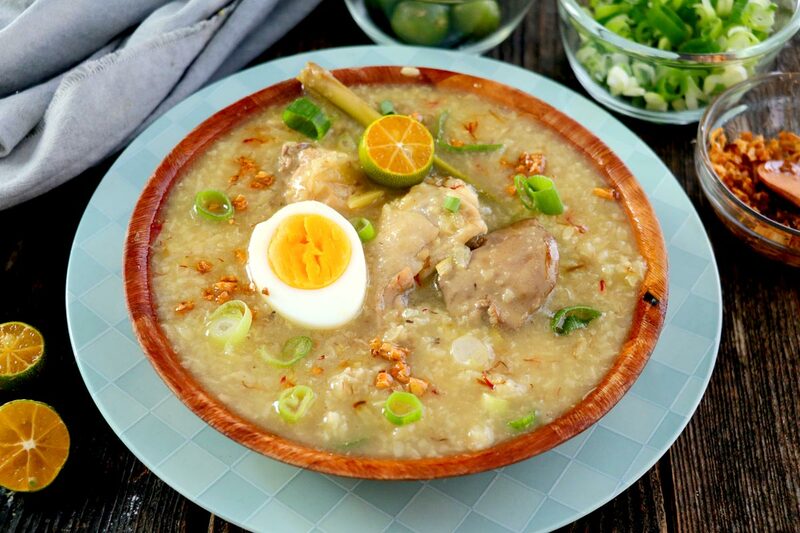 Aside from the usual ginger, which Armin and I love and I add in loads, and various toppings, there is another thing or two that makes this Arroz Caldo special. That is the addition of lemongrass and safflower. Safflower or “Kasubha” is usually mistaken for saffron. It is normally used as a coloring agent and it gives this dish a lovely yellow color. It has a nice aroma that is likened to chocolate and tobacco. The flavor itself, however, is actually very mild. 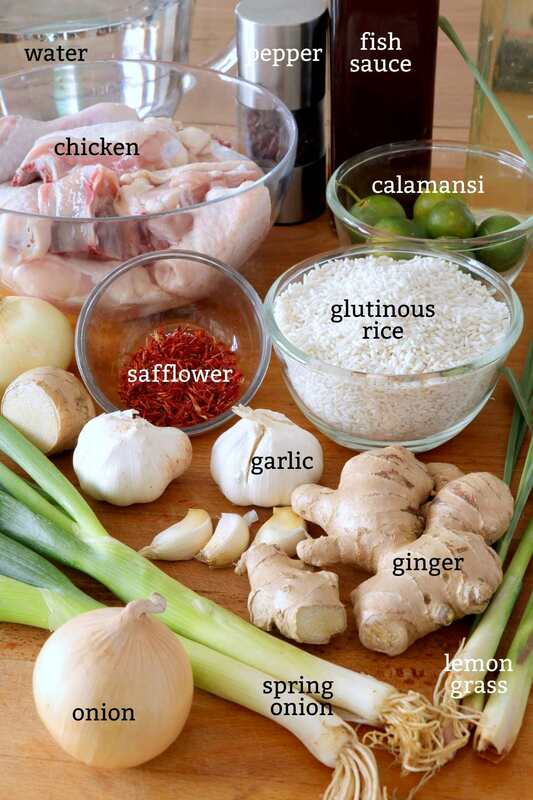 Adding lemongrass to Arroz Caldo is not a new innovation that I can claim, sad to say. I learned about it when I was still in Germany from another Filipina friend. It adds so much flavor and aroma that is so refreshing and citrusy and intensifies the taste of ginger. Believe me, if you haven’t tried it, then you should and you’ll know what I am talking about. Although, these who additions are optional, I highly recommend it. I would never make Arroz Caldo again without at least the lemongrass. I love it so much I planted some in my garden so there won’t be an excuse not to add it. 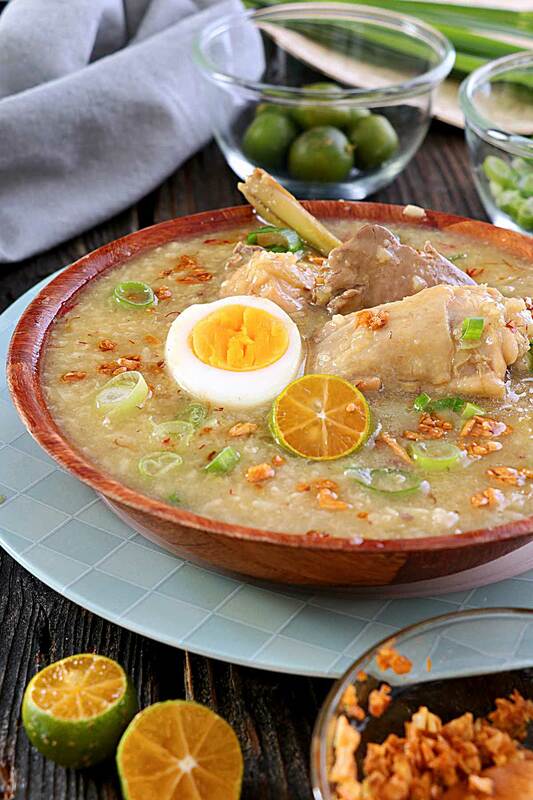 This Arroz caldo Recipe was originally published in June 2015. Updated in April 2019 with new photos and improvement to the recipe with the addition of lemongrass.